NEW YORK, Oct. 1, 2006—Art(212) made its debut here with over 60 galleries from the United States, Canada and Europe. While the aisles at the fair, held at the 69th Regiment Armory in Gramercy Park from Sept. 27-Oct. 1, were never overly crowded, gallerists reported that the quality of buyer in attendance was high—as was the quality of the work on view. ArtInfo’s reporting team stopped by dozens of galleries to talk about art, sales and trends. 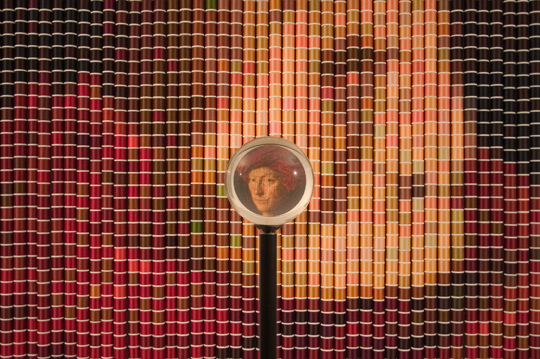 Best in Show At least one of our team was happy to award his personal “Best in Show” prize to Devorah Sperber’s magically inventive After van Eyck (2006) shown by the Marcia Wood Gallery (Atlanta). Available in an edition of three, the first example is priced at $43,000. 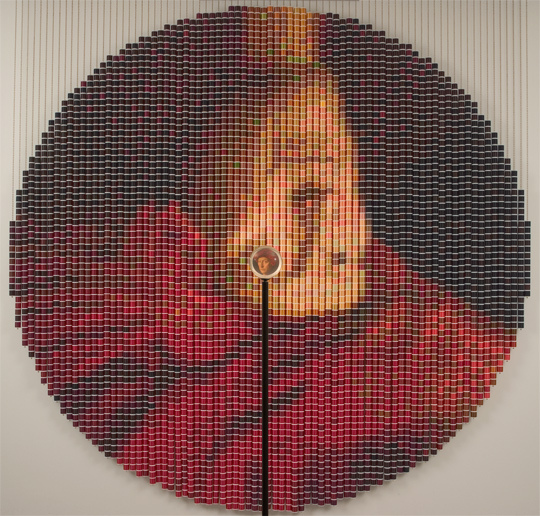 In the work, a 15th-century portrait is translated into more than five thousand hanging spools of deliciously colored thread; and thence, via a simple viewing sphere (which would have fascinated van Eyck himself), back into a glowing, pocket-sized version of the portrait again. Brava! ...to "6 Eye Centered Portraits Series"